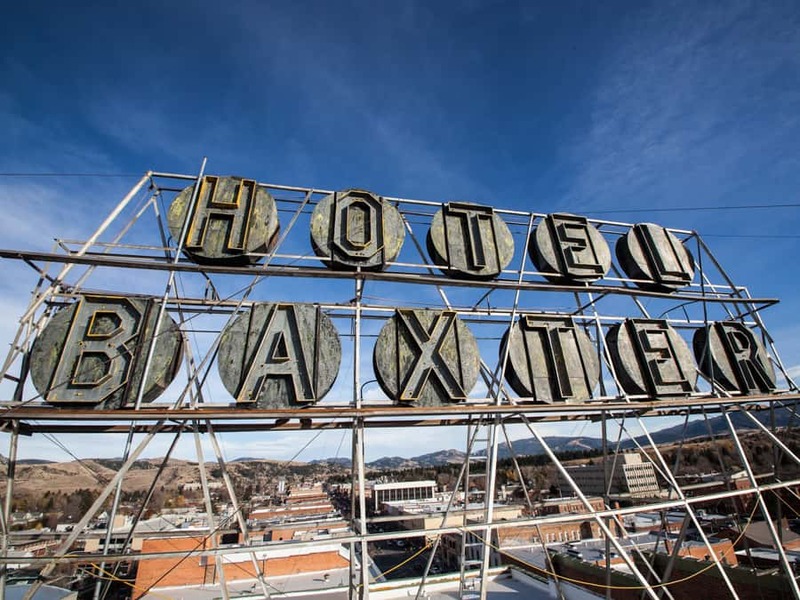 Staying in Bozeman can give you access to all the area has to offer. There are many hotels and vacation rentals to choose from at a variety of prices. If you are flying, the Bozeman Yellowstone International Airport is only 10 minutes from downtown. If you rent a car, be sure to ask for a Southwest Montana Brochure Packet to help you fill any spare time with more fun! Raft the Yellowstone River and tour the North side of Yellowstone Park. Wake up early to start the trip off right! Head east on interstate 90 to Livingston, then hop on highway 89 south towards Yellowstone Park. Join us in Gardiner for a family friendly raft trip down the Yellowstone River. (If water isn’t your thing, we also offer zip lining and horseback out of this location). 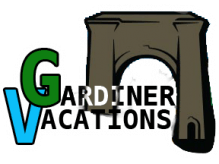 After some exciting splashes and gorgeous scenery (about a 3 hr round trip) grab a bite in Gardiner and head into Yellowstone Park. Get some snap shots under the Roosevelt Arch, tour the Mammoth Hot Springs area and continue to Tower/Roosevelt. Be sure to check out the hot pots and canyon views along the way. At this point you can opt to cruise east into the Lamar Valley for some prime wildlife viewing or continue south and check out the Grand Canyon of Yellowstone! When you’ve had enough turn back and head for home. If you still have it in you, stop for a soak at the boiling river (a natural hotspring that flows into a river right at the North Entrance to the park) for a day one finale! Grab a bite to eat in Livingston the way back to Bozeman. The wood-fired pizza at Gil’s Goods is absolutely scrumptious. 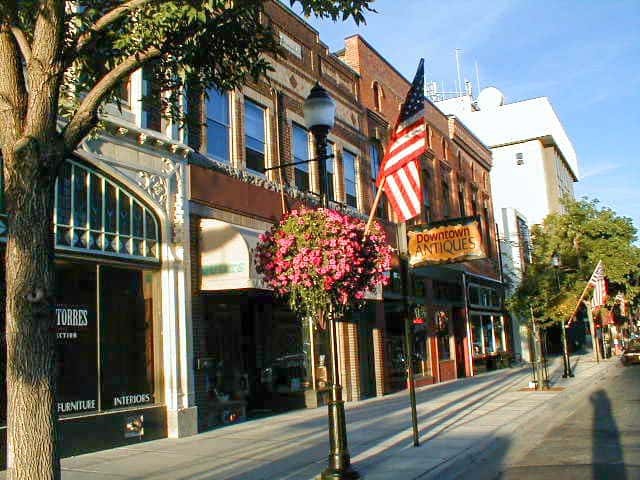 Stroll Downtown Bozeman, take a local hike, go to the Museum of the Rockies. Check out the town! Bozeman has all kinds of fun to offer. Grab breakfast at the CatEye Café or the Nova for a taste of local favorites. Shop in historic downtown Bozeman and stroll through Lindley Park. La Tinga has some great, simple Mexican- only open for lunch. Take a hike up the M Trail for a nice mountain adventure close to town or visit the Museum of the Rockies if the weather isn’t ideal. Bozeman has a lot of great dinner options too like the Ale Works, McKenzie River, and many more. Be sure to look into local events for nightlife. If you are around on a Tuesday evening, the Farmer’s Market offers an enjoyable evening at the park or Thursdays will find you Music on Main- when Main St. downtown closes for a live band and vendors. Great mingling and dancing opportunities! See the West and South sides of Yellowstone Park and go Fly Fishing! Enjoy another day in the Park. Cruise up the Gallatin Canyon and head to West Yellowstone (go south on hwy 191 all the way there). West has its own fun to offer like a journey through the Grizzly and Wolf Discovery Center or a great Yellowstone flick at the IMAX. Once you go into the park, head south to make sure you stop at Old Faithful. Continuing on to Yellowstone Lake is a fun option if you have the time. Once again, make sure you get out of the car and enjoy some of the easy strolls in the Park. When you’ve had enough, head back to the Big Sky area for dinner or continue to Montana Whitewater for an evening of Fly Fishing! We provide all the gear and an experienced, friendly guide to help teach you how to land a big one! Enjoy a relaxing day of outdoor fun with Madison River Tubing. Grab a morning bite at Main Street Overeasy or Bagel Works. Make it a slow morning because the earliest trip leaves town at 11:00. Meet at our Bozeman Location and we will shuttle you to the Madison River, give you a tube, and release you to enjoy a float down a mellow section of the river. We offer floating cooler rentals for snacks and beverages too! We pick you up a few hours down-river and take you back to town. Grab another delicious dinner- maybe Ted’s Montana Grill for a tender bison burger. Finish your night with a movie at the Regal Theatre or stroll along Pete’s Hill in town for some local stargazing! Finish your trip with a bang and join us for the famous Zip ‘n Dip Package! Soar across the Gallatin River like a bird on one of the Gallatin Canyon ZipLine Tours. Have a delicious lunch at Blazing Paddles Café, then enjoy the technical rapids and canyon scenery of the Gallatin River rafting trip! Stop for a bite at Stacys on the way home and see a small town Montana bar with a big steak! If you still havent had enough (and you can still float! ), stop for a soak at the Bozeman Hot Springs in Four Corners on your way back to Bozeman. Indoor and outdoor pools as well as saunas and steam rooms will relax you once more before your journey home!